Wherever we travel in Ireland, we look for the routes which will take us past sites rich in history and archaeology. Finola wrote a while ago about places to visit close to the M8, which links Cork to Dublin. Last week we discovered a real gem, in County Kildare, about 40 kilometres east of the motorway – well worth the diversion. 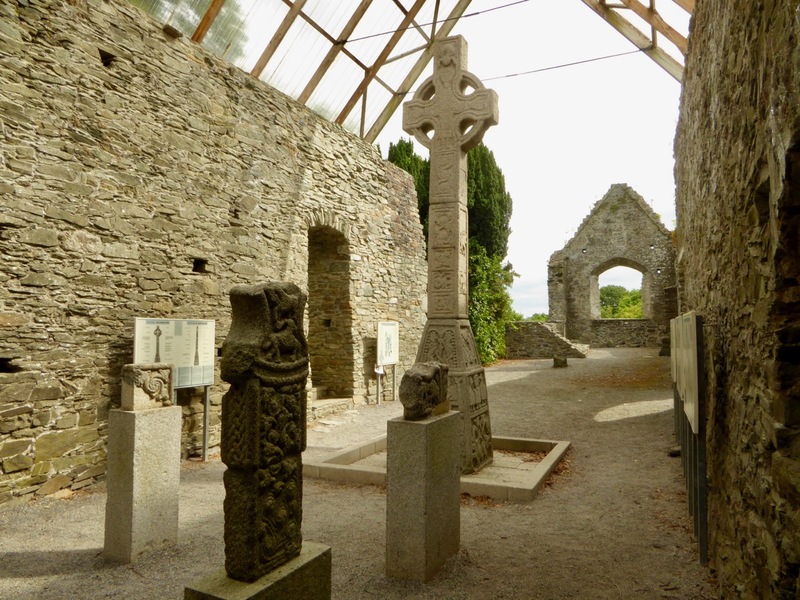 Just outside the village of Moone is the finest medieval high cross that we have seen in Ireland. It is on the site of Moone Abbey (above right – a sketch from 1784 by antiquarian Austin Cooper), where a church is believed to have been founded by St Palladius, who came to Ireland in 431. It was later dedicated to St Columcille. The abbey ruins date from the 13th century, but the site must have been an important religious foundation long before this as the high crosses (there were once four here) are very much older. Historical sources differ on their age – I have found them variously attributed to the 7th, 8th, 9th and 10th centuries! It’s safe to say they are at least 1100 years old. The Abbey was ransacked and burned along with the nearby Castle by Cromwellian forces in the 17th century and the high crosses were probably buried at that time. 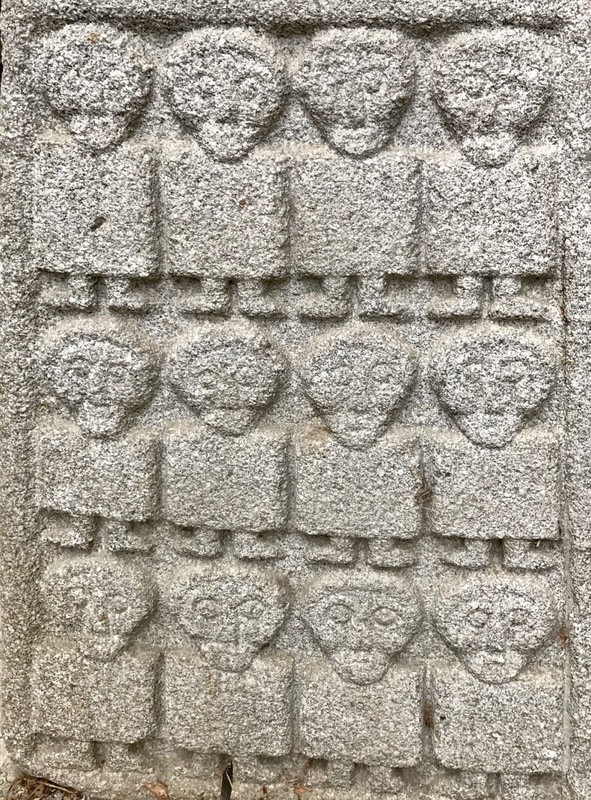 Two sections of the one we can see today were rediscovered in the Abbey grounds in 1835 and re-erected in the Abbey by the Duke Of Leinster. In 1893 a further section was uncovered and added to bring the full height of this cross to 5.3 metres. 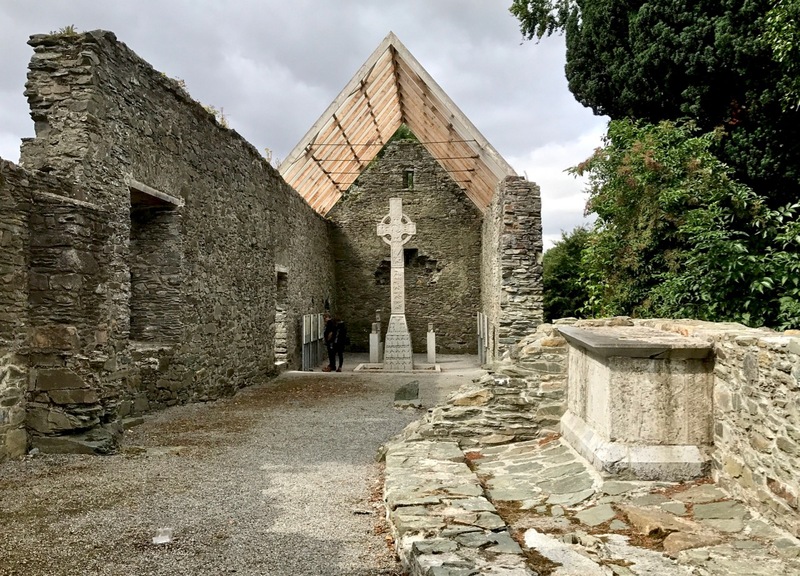 This is not quite the highest high cross in Ireland – Muiredach’s Cross at Monasterboice is 5.5 metres – but Moone is visually more impressive because it is so slender, and beautifully decorated. 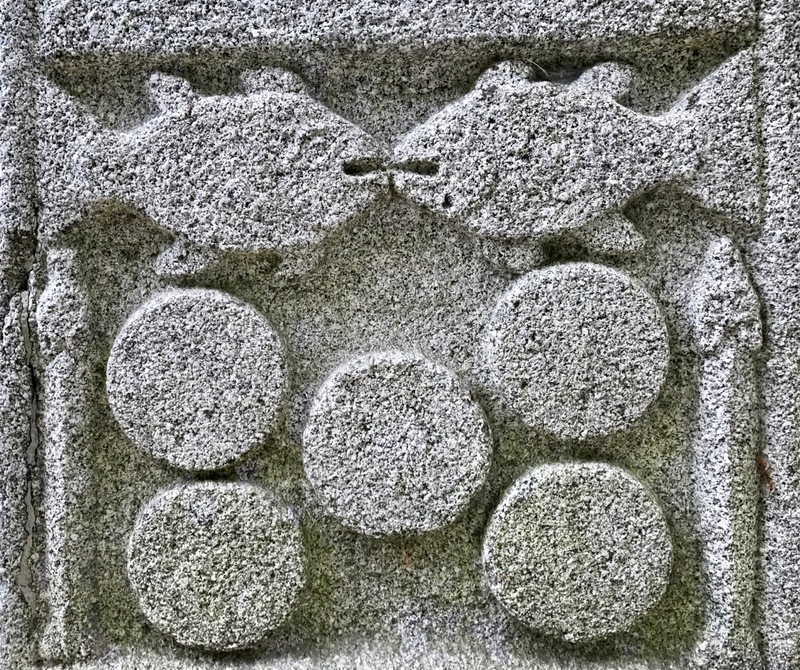 The carvings on the granite Moone cross are in relatively good condition and all the panels can be clearly seen. 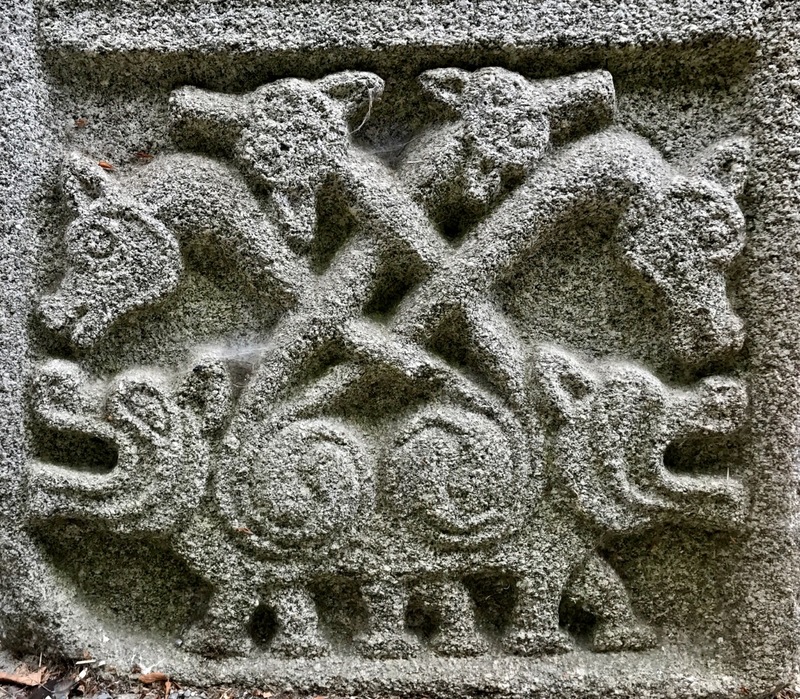 They are fine examples of medieval Irish art: stories from the Bible are mingled with Celtic knotwork and some enigmatic bestiary. The figurative work is simple and stylised – yet somehow very modern in its execution. The site is very well interpreted by the Heritage Service: there are comprehensive information boards describing every carved panel. Left – an interesting conjecture showing that the panels may have been coloured in; right – the friendly Keeper of the Cross! 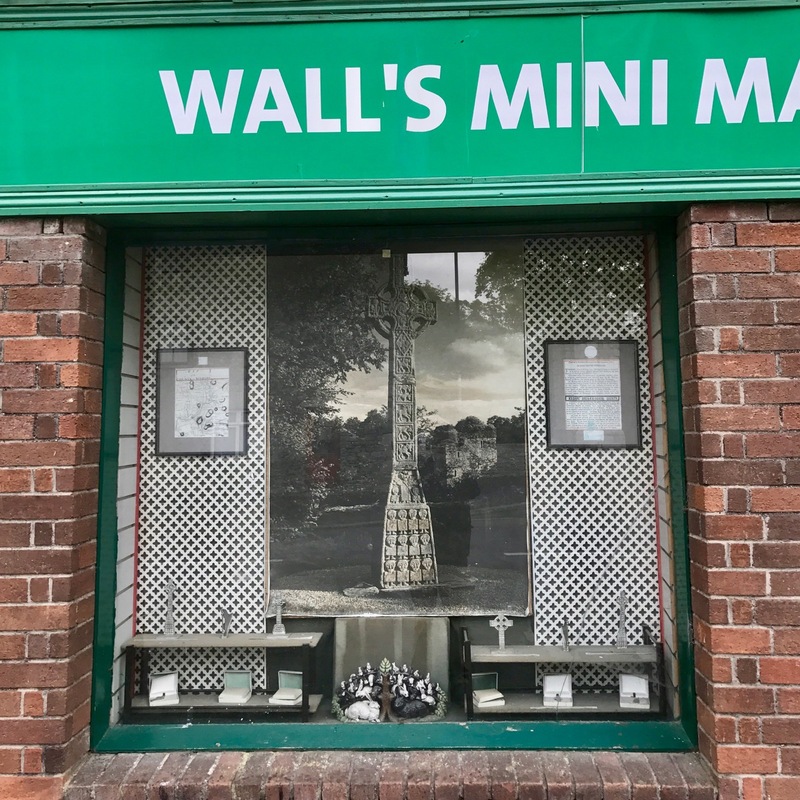 Be sure to visit this site – and don’t forget to purchase your guide book at Wall’s Mini Mart in the village!